The Rangemaster Elise 110 Induction Range Cooker is available in a wide range of colours so that you can create the kitchen you love. 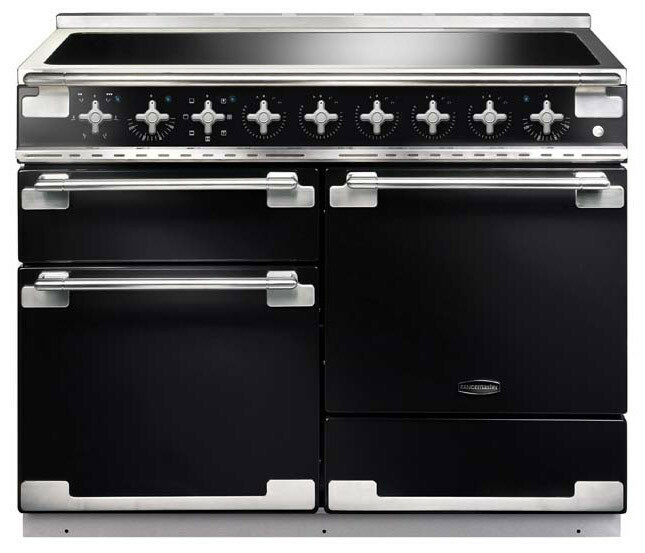 This cooker comes in a stylish, contemporary black chrome finish, and performs as good as it looks. This full size cooker range comes with two incredibly spacious ovens that have a combined capacity of well over 100 litres. This ergonomically designed cooker range also comes with a six burner induction hob that is great for saving energy and has a wealth of useful features including a dual circuit grill and electric griddle.